Most Ghanaian Musicians Do Not Make Effective Use of The Internet…FACT! One of the most powerful tools we have in our era is the internet. It helps us achieve lots of unimaginable things. It has also become a medium where people can market (publicize, buy, and sell) goods and services. It is not surprising that musicians are using this tool to promote their music worldwide. Let’s ask this question. Is the internet good for musicians and the music industry? Well, that depends on the angle you look at it. There are some who believe that blogs, websites and social networking followers are all you really need these days to become a music sensation. Others on the other hand also think the internet is an adversity for musicians and the music industry. So, who’s right? Well, what if both are? Maybe the truth about internet and the music industry is somewhere in the middle. Maybe the internet isn’t going to kill the music business, but maybe it’s not going to save it, either. How the internet is used is going to determine this. As a musician, you can do a lot of tremendously cool things for your music online. You can interact with your fans, share music videos on the cheap music hosting sites, and set up countless profiles with the goal of promoting your music. All very cool, but without a solid plan, a musician could end up investing in a lot of things online that might be very cool but that amount to nothing tangible. Many musicians have tons of followers on Twitter and countless likes on their facebook page. The question is: How do musicians benefit from all these people? How are they going to get these people who watch their music videos and download their songs for free to actually spend money on them as an artist (as in buying music albums online, attending shows etc.)? Let’s be quite realistic here. Some may say that no one wants to buy recorded music anymore in Ghana and that the only thing musicians can really make money from is playing shows. Well, honestly, if you can’t convince someone to go through the effort to pay less than GH₵2 to buy your new single online, what makes you think you can convince those same people to get up off their bed and walk or board a car to the National Theatre, International Conference Center, Ohene Djan Sports Stadium, etc and pay huge money to watch your show? 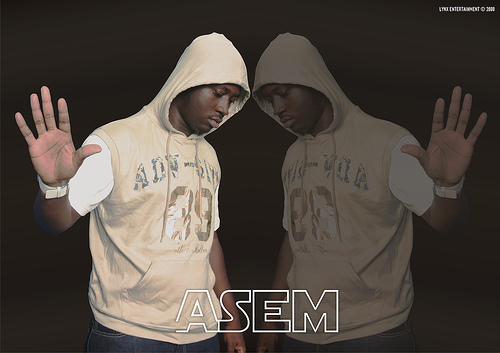 Few weeks ago, GhanaCelebrities.Com reported that Asem’s recently released album“Tough Times Don’t Last” was sadly being given out for free downloads. So just imagine, if an artist like this couldn’t convince his fans to buy a mere album online, how can he convince them to buy tickets for his shows? The art of persuasion should be learnt by musicians and be applied online. The net is not there just for the sake of mere browsing. There are many opportunities that can be explored. Our musicians should note that the internet has become overcrowded by lots of musicians around the world. This is because of its free entry. So mainstream musicians are competing with themselves, as well as with underground artists. Despite the internet being a very great tool, It seems some, if not all, of Ghanaians musicians do not really understand the use of it to bring great benefits to themselves. Many falter when it comes to social networking. I do follow some foreign musicians as well as our own musicians on various social networking platforms. There are clear differences between the two. Most of the foreign musicians I know talk about their music, albums, tours, social responsibilities they engage in and a whole lot. On the other hand, same cannot be said about some of our Ghanaian musicians. Some Ghanaians musicians have turned their social networking pages into football and other non-music related platform, when in fact they can use this as a way of effectively promoting their music, videos, tours, shows, interact with fans, and other relevant things. In effect, they brand themselves as football, food, or whatever ambassadors without realizing. It’s time for these ones to sit back and do an analysis of what they really stand for, what their followers really need from them, and how they can use the internet to achieve lots of things in connection with their music career. download track and twerk you own style.